When marine biologists in Mexico noticed whales were turning up with blisters on their skin, a team of scientists began to look into the problem. They spent three years tracking blue whales, fin whales and sperm whales as they made their annual migration to the sunny coast of Mexico. What they found: whales tan, and some burn. Not too surprising, but just like humans, the fin whales which are the darkest of the three were more resistant to burning. 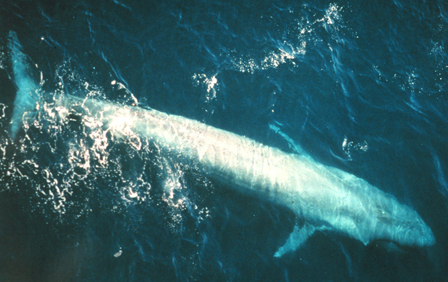 Between the other two, blue whales are the palest, and they suffer most from sun burn. Sperm whales which are darker than blues spend a lot of time at the surface, and their lifestyle means they suffer from sun-damaged skin the same way humans do. They don’t know if whales get skin cancer, but if they don’t it might eventually provide some clues to how to prevent skin cancer in humans.